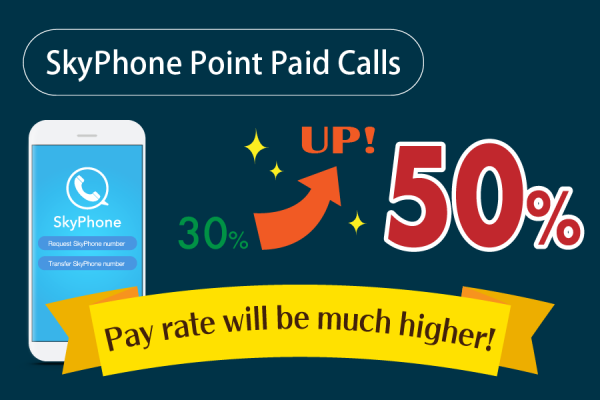 [ iOS ] The rate of pay in Point-Paid Calls will go up drastically! In Point-Paid Calls, the rate of pay will go up drastically from the payment at the end of August. The rate of pay is used to exchange earned points balance for cryptocurrency that a Master will get. That means that 1 point is exchanged for cryptocurrecny corresponding to 0.3 yen. 1 point is exchanged for cryptocurrecny corresponding to 0.5 yen. Click here for details of Point-Paid Calls.